Roy Upton, RH (AHG) is trained in traditional Ayurvedic, Chinese, and Western herbalism, and is a member of the Standards Committee of the American Herbal Products Association, and also the executive director and editor of the American Herbal Pharmacopoeia. He is general manager of Planetary Herbals. Speaker: Roy Upton. 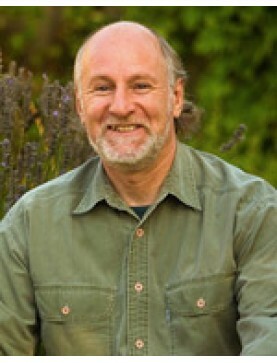 Presents an approach that integrates nutritional, herbal, and topical approaches..
Speaker: Roy Upton. An integrated approach to treating the myriad of structural, systemic and enviro..
Speaker: Roy Upton. Herbal Approaches to Sinus Infections..
Speaker: Roy Upton. TCM and Gynecology..
Speaker: Roy Upton. Differentiations for the use of sedatives, nervines, antispasmodics, and shen (s..
Speaker: Roy Upton. Learn about the traditional practices of Caribbean herbalists and discover ..
Speaker: Roy Upton. A discussion of the therapeutic uses of Ganoderma, Cordyceps, Grifola, Inonotus,..
Speaker: Roy Upton. The FDA recently implemented rules on Good Manufacturing Practices which have po..
Speaker: Roy Upton. Presents nutritional, lifestyle, and traditional Chinese herbal protocols f..
Speaker: Roy Upton. A discussion of the causes of different types of kidney stones, dietary con..
Speaker: Roy Upton. Does echinacea work? Are toxic metals in herbal products? Does St. John's..
Speaker: Roy Upton. Chinese herbal tonics possess adaptogenic, antioxidant and immune supportiv..
Speaker: Roy Upton. Quality issues are discussed including herbal adulteration, microbial contaminat..
Speaker: Roy Upton. If you have ever had a friend, colleague or relative observe that herbs "ar..
Speaker: Roy Upton. An in-depth look at the pharmacology, clinical studies and safety of schisa..
Speaker: Roy Upton. Interpretation of the current controversy and the development of appropriat..
Speaker: Roy Upton. TCM differentiates four primary types of asthma and therapies for each. Als..